Portugal was the first country in the 20th century to lose her Monarchy, yet the claimant to the Portuguese throne hopes the country will be the first in the 21st century to win back the Monarchy. 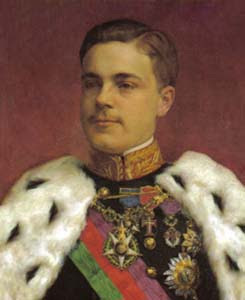 Dom Duarte Pio, Duke of Bragança, is confident of re-gaining the throne that was taken away from the Royal House of Bragança in 1910 because recent opinion polls demonstrated that up to 30 percent of the people would not mind having a King instead of a president. This high approval rate for a Crowned Head of State is not just nostalgia, but is to a large extent Dom Duarte’s good reputation as someone who cares about the country and the environment. Since the 1970s he has advocated organic farming, he is an outspoken critic of the destruction of the landscape in rural areas, where holiday homes replace farm houses. He travels the country and listens to the people, but not as a politician who wants to catch their votes, but as someone who cares. Though the Monarchist People’s Party (Partido Popular Monárquico – PPM) has deputies in the national assembly, the King in waiting keeps his distance even to his most loyal supporters. He knows as King it would be dangerous to be affiliated with a single party. He is above party lines and has supporters in nearly all democratic parties. On the other hand he formed a non-partisan organisation, the Causa Real, the Royal Cause, which has 10,000 members all over Portugal. Recently the organisation elected a new chairman: Paulo Teixeira Pinto. He had served Portuguese presidents and prime ministers in the last 30 years before quitting politics and becoming secretary general of Portugal’s Central Bank. Then he joined the country’s biggest finance group. After leaving the Millenium Bank he re-organised his personal life and became a solicitor. He seems to be determined to promote the Cause Real to a new level and make it a vehicle for Dom Duarte’s claims to the throne. Born on 15th May 1945 in Berne/Switzerland, Dom Duarte and his family were banned from entering Portugal until in 1950 the National Assembly repealed the laws of exile. In 1951 Dom Duarte visited Portugal for the first time accompanied by his aunt the Infanta Filippa. In 1952 he moved to Portugal permanently with his parents and his two brothers. When Dom Duarte married the Portuguese noblewoman Isabel de Herédia on 13th May 1995 the country enjoyed the first royal wedding since the marriage of King Dom Luís in 1862. The ceremony, televised throughout Portugal and other Portuguese speaking countries including Brazil, Angola and Mozambique, was celebrated in the Monastery of Jerónimos in Lisbon and presided over by the Patriarch of Lisbon, Cardinal António Ribeiro, and attended by the president of the republic, Mário Soares, the president of the National Assembly, the then prime minister Aníbal Cavaco Silva, who was elected president of Portugal in January 2006. The birth of Infante Afonso, Prince of Beira, on 25th March 1996 was the first royal birth in Portugal since the birth of Dom Manuel II, Portugal’s last King, in 1889. 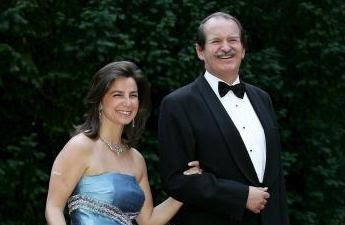 With two more children born in 1997, Infanta Maria Francisca, and Infante Dinis, Duke of Porto, in 1999 the succession is secure and the Portuguese Royal Family will florish in the 21st century, ready to ascend to the throne. It is usually depressing news when it comes to monarchy, it is good to see a ray of hope! I traveled to Portugal in 2006, it is a stuning country, Lisbon probably one of the most majestic cities in Europe. The Portugese are also a friendly people, devout too, lets hope they ditch this illigitemate republic and retore their rightful king! The Partido Popular Monárquico – PPM, is headed by a greedy little man who has fallen out with Dom Duarte, so he now backs one of his cousins as the lawful heir to the throne... PPM is irrelevant. I think that the last Royal wedding before Dom Duarte's was not Dom Luis' but his son Dom Carlos'. Thank you for the correction concerning the PPM. I had heard of the change of hearts, which is very sad. When I came to know the PPM it was a party loyal to Dom Duarte Pio and had anyone suggested, the party would switch allegiance, the would have been ridiculed. But these things happen. I forgot to mention one other thing, which I reckon may be of interest to you and other Australian leaders - the role D. Duarte played in calling attention to the plight of East Timor, then under Indonesian occupation. You can read more about it in the Internet. I am aware how His Royal Highness' has been supporting for East Timor for more than 30 years. "D. Duarte Pio esteve retido domingo cerca de meia hora por militares australianos, depois de visitar o presidente Xanana Gusmão, num incidente que o duque de Bragança considerou exemplar da falta de profissionalismo do contingente australiano estacionado em Timor-Leste." Divulgue e adira ao nosso projecto que tem como objectivo que haja um referendo para que possamos escolher se queremos uma Monarquia ou Republica. Criar um Movimento denominado Alvorada, que reúna monárquicos de todo o País, em torno da ideia da restauração da Monarquia em Portugal. Quando este Movimento já tiver um número apreciável de monárquicos activistas, deles serão escolhidos vinte e dois, um por cada distrito nacional que, por sua vez, escolherão e coordenarão representantes da Alvorada em cada um dos concelhos do distrito que representam. Os vinte e dois representantes dos vinte e dois distritos de Portugal reunirão, quando oportuno, numa capital de distrito previamente escolhida. Aí se consensualizarão em torno de uma Convenção Nacional. Esta Convenção, coordenadora de todas as distritais, desencadeará inúmeras actividades, de entre as quais, uma das primeiras, estimamos que seja a organização de uma gigantesca manifestação monárquica a Lisboa, vinda de todas as distritais, numa verdadeira onda azul e branca, para, em frente do Palácio de Belém e da Assembleia da República, exigir que a revisão constitucional que se avizinha, contemple a possibilidade da realização de um referendo nacional sobre o regime que nos deverá governar daqui em diante, a República ou a Monarquia. Esta manifestação da Alvorada será precedida da devida preparação de material de propaganda, como a fundação de sites, a construção de cartazes e a impressão de folhetos. Se é monárquico e acredita neste sonho, JUNTE-SE A NÓS. Lembre-se do que disse o poeta, "Deus quer, o Homem sonha, a Obra nasce! ".